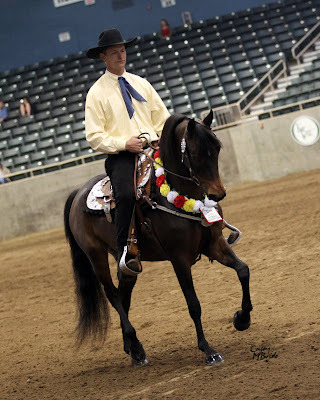 The Far West Regional Morgan Championships has always been a great show for Dragonfire. Redmond, Oregon features stunning views of mountains, lakes and, my personal favorites, Rockchucks! There are always great friends to share the pool, boat or golf course with, and fantastic eateries to keep you entertained at night after the show. We always enjoy the atmosphere as much as the show itself. 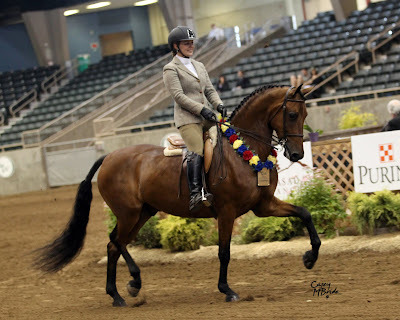 But this year was particularly sweet, as Dragonfire won every available championship in the hunter Pleasure division. Go Team!! 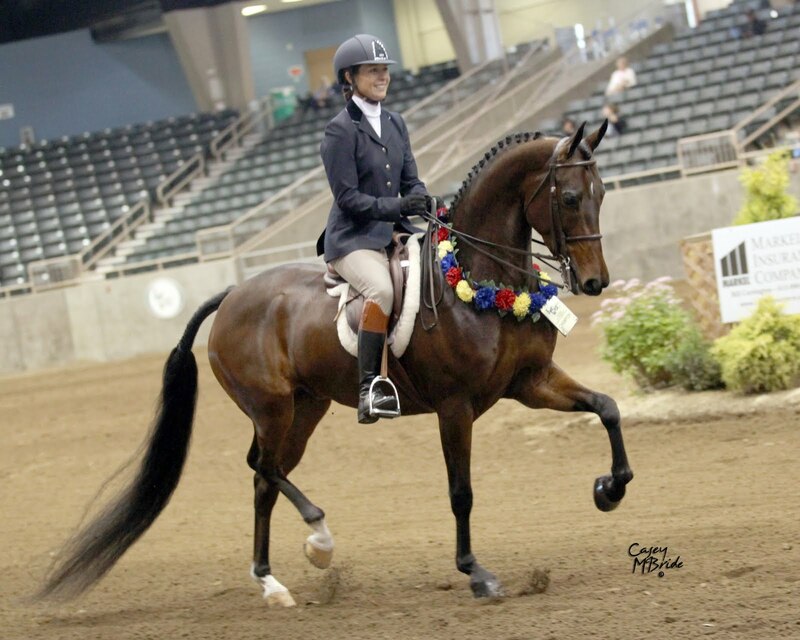 Rendition's Thrill A Minute really gave the crowd what they wanted in the Open Hunter Pleasure Championship with Jennifer McFall aboard. 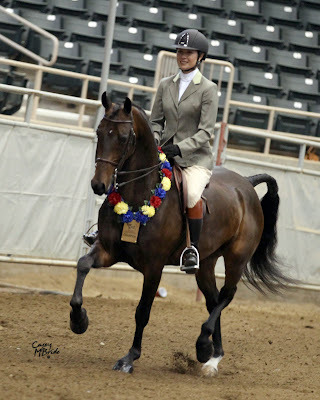 This exotic dark bay gelding showed like he owned the ring, even though this was the first show for the young performer. 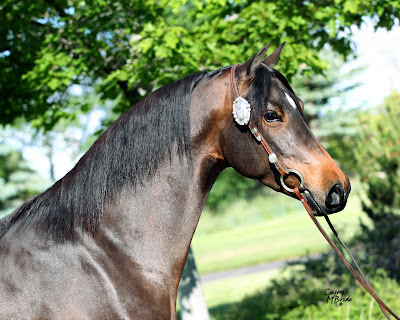 He not only shined on the rail, but he stripped beautifully to be named the Champion for his owner, Illahee, Inc.
Few are as beautiful and accomplished as Dragonfire Timeless. 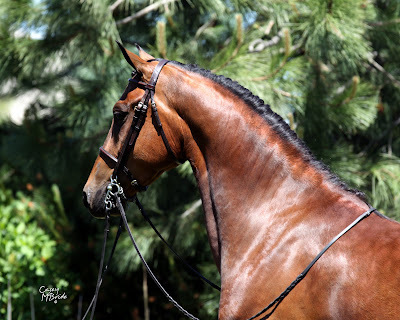 After a stellar year in the Four Year Old ranks, Timeless smoothly transitioned into the Ladies Division at the Far West Regional. 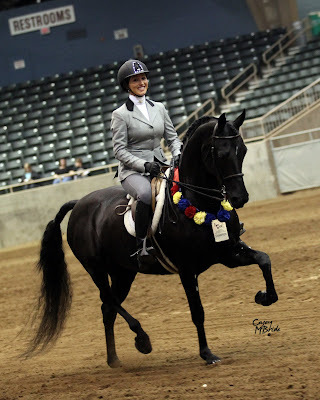 Presented by Jennifer McFall and owned by Dragonfire, he won both his qualifier and the Championship, keeping his undefeated record at this show. 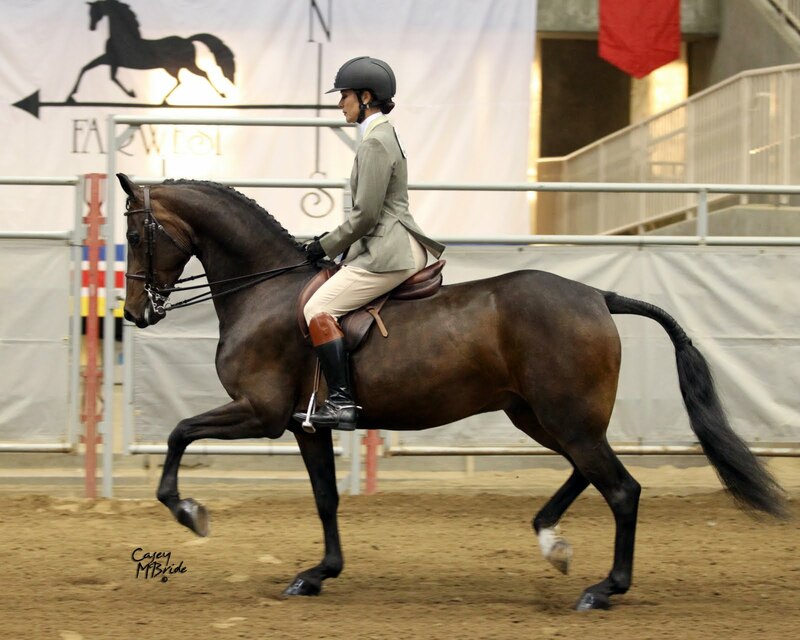 At his maiden show under saddle, Merriewold JS Bach gave the winning performance in the Junior Hunter Pleasure Championship. This big and bold four year old was the picture of a gentleman with Devyn Rau presenting. JS will certainly have a long and prosperous career in the show ring as a top Hunter. 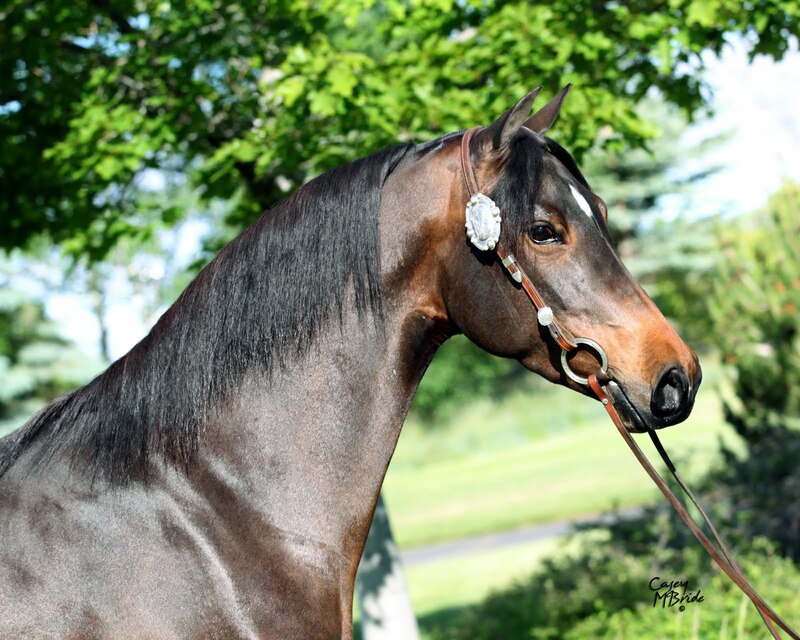 Owner of JS, Diana Wold of Merriewold Morgans is proving to have a very successful and competitive breeding program. 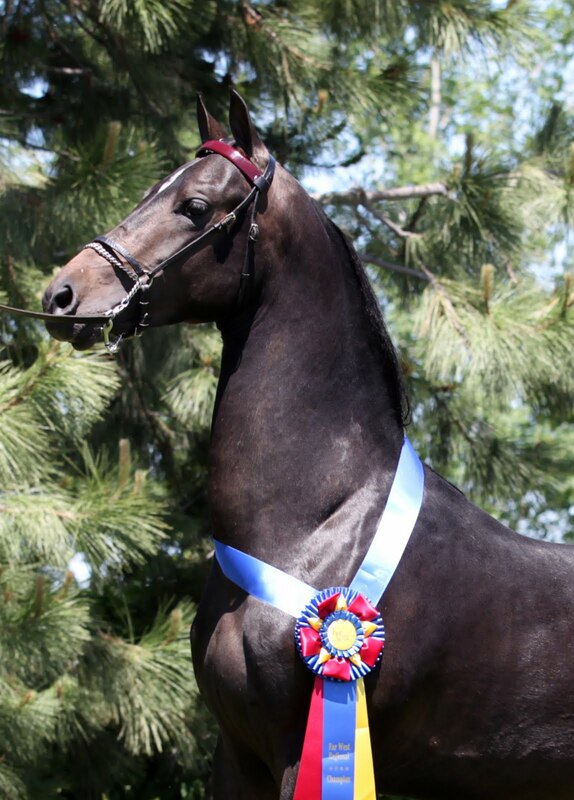 Speaking of strong breeding programs, ALB Morgans have been producing beautiful youngsters for Sport and Show. 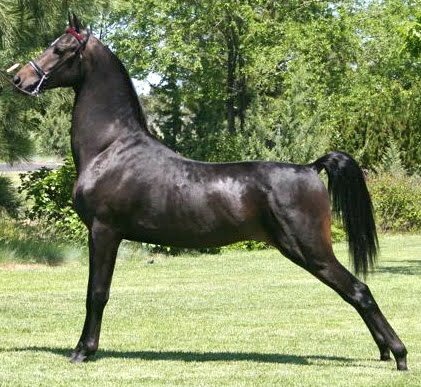 One of their first to hit the ring, Lovey of Stilwell, was the reserve winner in the Three Year Old Western Pleasure and was also the Reserve Champion in the Junior Western Pleasure with Earl McFall riding. Dragonfire Farm is the proud owner and breeder of the Far West Grand Champion Stallion, Dragonfire Wasabi. This stunning yearling was expertly presented by Forest Nealon and Tom Tornatore. No doubt, this colt is destined for greatness, as he is by Grand Cru Beaujolais and out of Dragonfire Nova (dam of Dragonfire Nefertiti and Dragonfire Shaolin). Going undefeated in five classes was Dragonfire Nefertiti with her two riders, Caroline Dein and Devyn Rau. 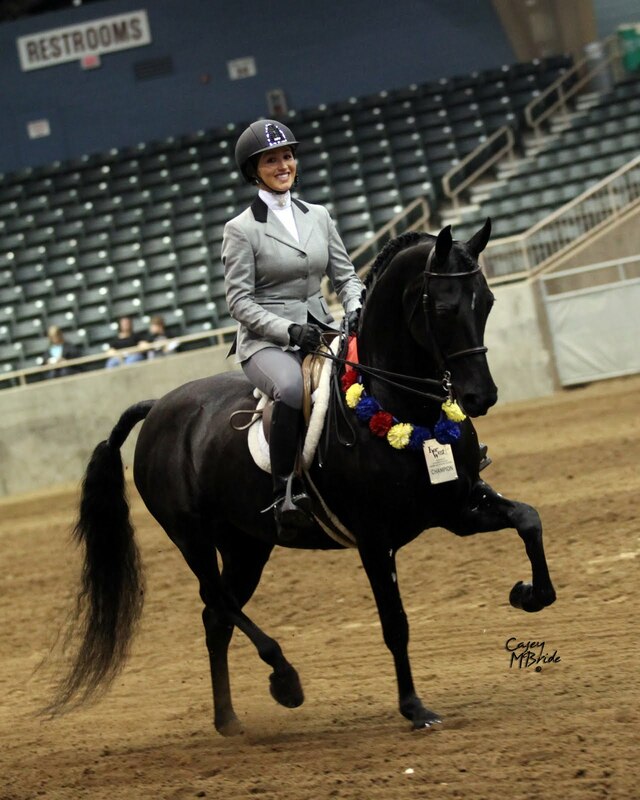 "Faye" has always been stellar, and this show was no different with wins in Amateur, Ladies Amateur, and Junior Exhibitor Hunter Pleasure. She took both Caroline and Devyn for their first championship victory pass...though I doubt it will be their last! 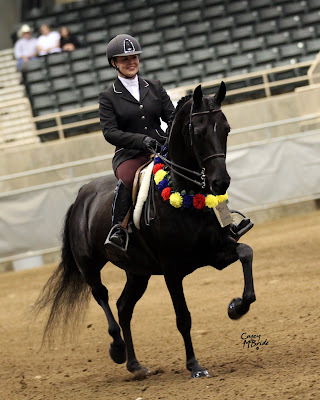 This gorgeous black mare always garners praise from the crowd, much to the delight of owner, Toni Casados.